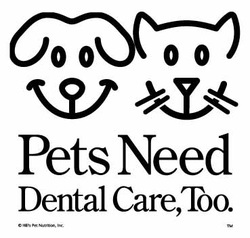 Cape Horn Veterinary Associates and Dr. McFarland take pride in the level of dentistry we are able to offer to each patient. Veterinary dentistry varies from clinic to clinic and doctor to doctor, but we believe in performing the best, safest, and most thorough procedure for your pet’s health and benefit. 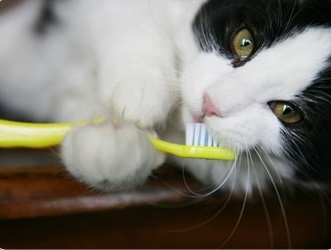 Preventive Dentistry is performed under general anesthesia in order to complete the full examination, radiographs and cleaning procedure without stress, pain or discomfort for your pet. All of our patients have individually tailored anesthesia protocols depending on the breed, age, weight and medical history. We use very safe anesthesia protocols for senior patients and those with chronic diseases. Thorough dental examinations include visual inspection of all teeth for chips, fractures, gum line recession, furcation and root exposure, pulp exposure, enamel wear, vascular damage to the tooth body, and gum line inspection for inflammatory changes and/or neoplasia (the formation of tumors). Each tooth is X-rayed prior to the procedure to evaluate the status of the tooth root, the tooth’s attachment below the gum line, and to determine the amount of bone loss and/or the presence of neoplasia of the jawline. Radiographs are also performed after any dental extractions to ensure that the entire tooth has been removed. Teeth are hand-scaled to remove gross tartar followed by ultrasonic scaling to eliminate the gross and microscopic tartar and scale underneath the gum line. All teeth are polished using a high-speed polishing tool, and fluoride is applied. For teeth that have some gum line recession but are otherwise normal, a dental sealant can be applied to help eliminate further recession and the patient can be sent home with applicators to apply sealant every couple of weeks at home. The dental sealant helps to prevent further damage and recession of the gum line. Depending on the stage of pathology and inflammation of the gums, some patients may need to be on an antibiotic before and/or after the dental procedure and may need to be sent home with anti-inflammatory medications after the procedure. Surgical extractions are often needed when patients have severe dental disease resulting in tooth resorption, tooth fractures, tooth abscesses and periapical lysis of the tooth root and jaw line due to advanced dental disease and bacterial infection. The extractions are performed with local anesthesia blocks to help relieve the discomfort in the immediate and post-operative period. Surgical extractions are radiographed after the tooth is removed in order to identify complete extraction of all boney fragments and prevent remnants being left behind. Extraction sockets are sutured in order to promote faster tissue healing of the lesion and to prevent further infection of the jaw line. Occasionally, bone matrix compounds are utilized to fill in the hole and promote faster tissue healing of the jaw line from where the tooth was extracted. Post-dentistry laser therapy treatments are applied to speed up healing and promote adequate local pain relief.